KWP Attorneys & Conveyancers is a niche boutique firm, priding ourselves on lateral thinking; delivering innovative legal and commercial solution in the best interest of our clients. We further exult in our success and innovative thinking, maximising technology and systems to better assist our clients and keep them apprised on all developments. KWP has extensive expertise in Property, Commercial, Tax, Labour law, Intellectual Property Law as well as Carbon Finance and Offshoring. Stephen Wingate-Pearse B.A. LLB graduated in 1996, from Wits, with the John & Kernick Prize for the top mark in Intellectual Property. He articled under Allan Levin, SA's leading commercial litigation specialist (Euromoney in 1996). After admission he travelled extensively abroad and in 1998 founded active online, SA’s first and largest online event entry and management portal. Stephen founded KWP Attorneys in 2002 and has gained extensive experience in Commercial, Intellectual Property and International Tax Law. Stephen was also a founding Trustee and pro bono legal advisor to Rhino Revolution Hoedspruit as well as a co-founder of Emerald Energy Africa, an initiative to promote greening and renewable energy throughout South Africa. 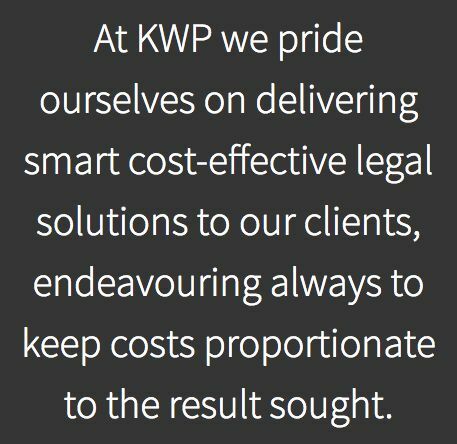 In a commercial context KWP Attorneys remain mindful of the bottom line by endeavouring to ensure that clients receive the most cost effective solutions available.